Contemporary Lake Shore Drive Condo — Deb Reinhart Interior Design Group, INC.
Our client is an absentee owner living abroad, with contemporary taste, requested a complete build-out of high-floor, 3,600 square foot condo starting with bare walls and floors —and with all communication handled online. 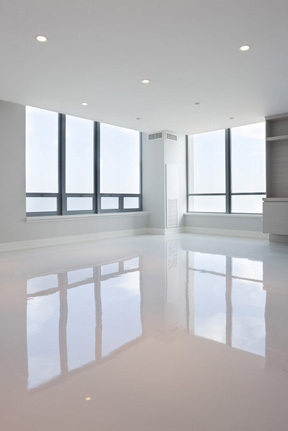 Our client purchased a the bedroom new construction condominium on the 27th floor as a white space [meaning there was no kitchen or bathroom]. This owner lived in Singapore and requested a streamlined European Contemporary build out which was very minimal to include the kitchen, three bathrooms, custom millwork, closet organizers, lighting, a decorative concrete floor and some built in desks and servers. This condo is in a luxury building overlooking Lake Michigan on Lake Shore Drive, but will be used as an upscale rental. This build out needed to add value to this gorgeous setting, but be accomplished with an attention to a strategic price range, not a luxury price point, due to the rental end use. We were trilled to work with this client. The project was presented and managed on line [internationally], as we had only one in person meeting with the owner. Contemporary interior design is most challenging as the design elements need disciplined scale and precision in the selections. Our solution was to create a highly disciplined design for a contemporary, European influenced environment. Large great room boasts a decorative concrete floor, dropped ceiling, and contemporary lighting. 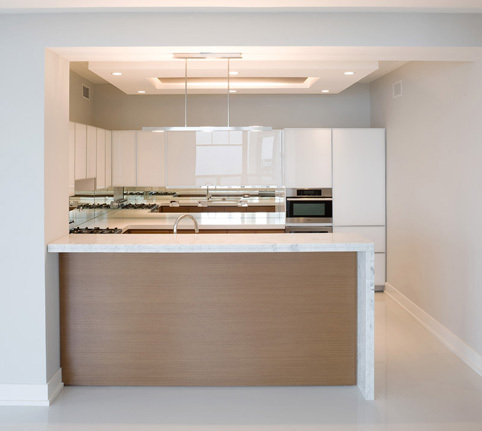 Top-of-the-line kitchen exemplifies design and function for the sophisticated cook. 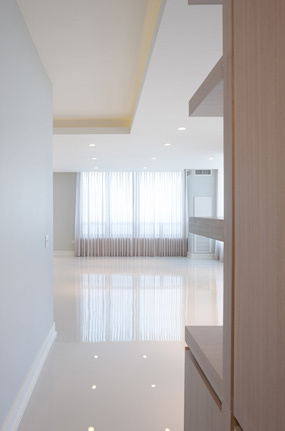 Sheer drapery panels at all windows softened the sleek, minimalist look. 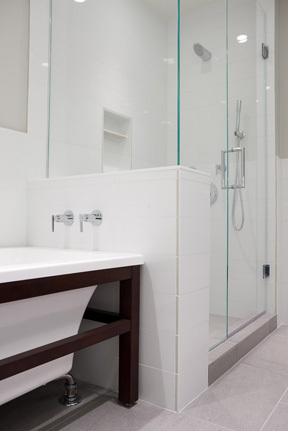 Bathrooms feature custom vanities, tiled walls, and color-themed Carrera marble. Built-ins and custom millwork reflect the European influence in style and functionality. A fireplace creates a one-of-a-kind experience, particularly in a high-rise environment. Our design solution included a kitchen, which had white back painted glass doors on the top cabinet with warm wood on the base cabinets. To add task lighting we built a soffit in the center of the kitchen for task lights as well as ambient light for entertaining. 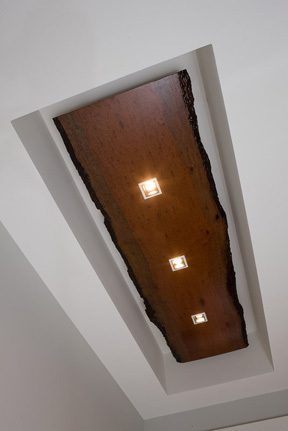 The soffit included a slab of exotic wood [Bubinga] which added an unexpected dimension and concealed task light. Appliances were selected for multi function-in this compact space for the sophisticated cook and wine collector. The great room dining area-had a wall mounted console in the same finish as the kitchen –which continued the design theme, but provided storage. 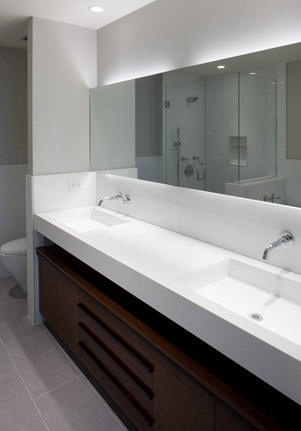 The 3rd bathroom included over scaled white tile-custom millwork on the floating vanity and contemporary lighting behind the mirror. 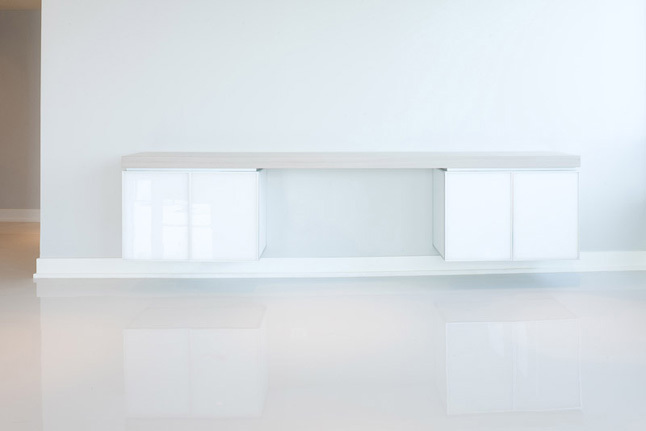 We added a dropped ceiling with a lighting plan for any possible furniture plan. "Deb works hard to get to know you. We spent two hours just talking about my outlook on life."